Matthew Donaldson, chief executive of the BGL Group, based in Peterborough. Peterborough-based insurance giant BGL Group has secured a £675 million investment from an international investment company. The BGL Group, of Bakewell Road, Orton Southgate, has announced the Canada Pension Plan Investment Board (CPPIB) has agreed the investment in return for a 30 per cent stake in the company. 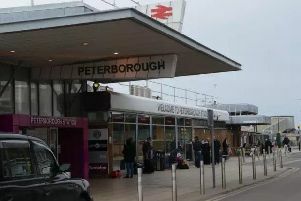 As a result, BGL, which employs 1,800 people in Peterborough, says it has now shelved its plans to float on the London Stock Exchange. Peter Winslow, chairman of BGL Group, which owns brands including comparethemarket.com, LesFurets.com and online life insurer BeagleStreet.com, said: “We are delighted to welcome CPPIB as an investor. "During the course of our IPO preparations, our shareholder BHL received a number of approaches from different kinds of investors, as BGL represents a unique growth opportunity in UK financial services. "A competitive process followed and our view was that CPPIB was the best partner for BGL. "It is a hugely respected and experienced global institution, with a long-term ethos and track record of supporting growth. Matthew Donaldson, chief executive of BGL, said: “This investment is a clear vote of confidence in our performance and potential. "We have a long-term growth strategy which builds on our market-leading core capabilities of data, digital and marketing. "We will continue to operate in our current markets, innovating to ensure we continue to offer the best products for our customers, but we will also focus on developing and launching new ventures. BHL, the current owner of BGL Group, will retain a majority shareholding in the business with the investment expected to be completed by the end of April 2018. As a result CPPIB will nominate a non-executive director to represent it on the board of BGL. Ryan Selwood, managing director and head of direct private equity for CPPIB, said: “Through this investment in BGL Group, CPPIB will participate in the continued growth of a leading financial technology business serving the UK consumer insurance distribution market, which provides greater transparency and choice to consumers. "We are very pleased to create this partnership with BHL in a dynamic, high-growth sector to support the success of BGL’s iconic brands, including comparethemarket.com, which will further diversify our portfolio. For the year ending 30 June this year, BGL reported 14 per cent underlying revenue growth to £585 million, and 19 per cent growth in underlying profit before tax to £126 million. Total customers increased to over 8.5 million. The company says it has seen growth at a similar rate in this financial year.